AP Services, a product and service brand of Curtiss-Wright, manufactures valve and pump packing products that have the lowest leak rates and friction in the industry. 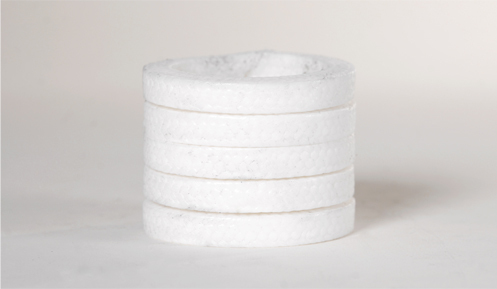 Style 5718 is the ultimate low friction packing specifically developed for air-operated valves. The unique characteristics of Style 5718 combine to form packing that can handle the constant cycling of control valves. 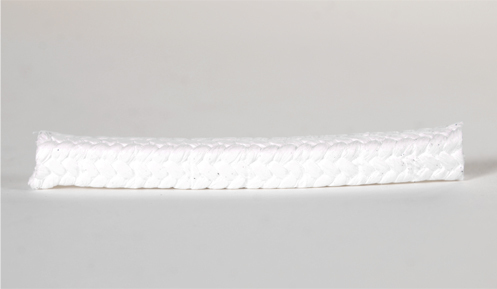 AP Style 5718 is manufactured utilizing expanded PTFE fibers with the durable and resilient core of Style 5000. The amazing qualities of Expanded PTFE along with PTFE dispersion provide a low friction exterior, which prevents leakage through the braid. It will not wear or score stems and does not contain wire. Style 5718 is designed to be used with Style 5000 or Style 6000 Composite end rings. 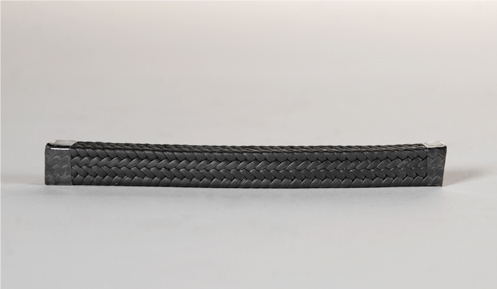 Style 5718 is braided in strict accordance to AP Services’ QC program to meet the most demanding specifications of the nuclear industry. Complete traceability along with a complete chemical analysis is available for each lot. Style 5718 can handle most types of media such as acids, chemicals, water, steam, and oil in high temperature conditions. This packing effectively seals all types of valves and is available as individual rings, combination sets, and in bulk. AP Services, a product and service brand of Curtiss-Wright, manufactures valve and pump packing products that have the lowest leak rates and friction in the industry. 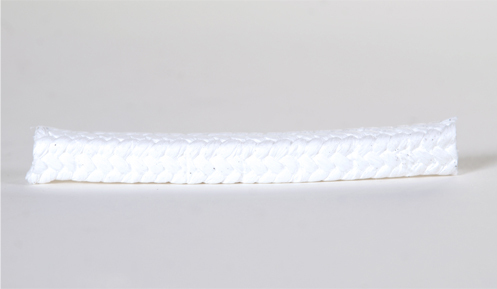 Style 718 is braided from pure Teflon fibers, and then treated with a Teflon suspensoid. An inert high temperature lubricant is added, making 718 suitable for high-speed pump service. Style 718 is soft, pliable packing, allowing for fine gland adjustment, thereby minimizing the leakage of an expensive or hazardous product. Because Teflon is chemically inert, this packing will provide excellent service in highly corrosive chemical environments. Style 718 works best as a pump packing and recommended for use with chemicals, acids, and steam applications. Style 718 is available as individual rings, combination sets, and in bulk. AP Services, a product and service brand of Curtiss-Wright, manufactures valve and pump packing products that have the lowest leak rates and friction in the industry. Style 718H is braided from continuous Teflon filament and provides excellent service in high-pressure valves and pumps. This packing will withstand pressures to 2000 psi in valves and 600 FPM in rotary service pump shaft speed. Because Teflon is chemically inert this packing will provide excellent service in highly corrosive chemical environments. Style 718H works best as a valve packing and recommended for use with chemicals, acids, and steam applications. Style 718H is available as individual rings, combination sets, and in bulk. AP Services, a product and service brand of Curtiss-Wright, manufactures valve and pump packing products that have the lowest leak rates and friction in the industry. Style 718OX is braided from pure Teflon fibers, utilizing a special handling process and heat treated to allow its use in Oxygen service. Because Teflon is chemically inert, this packing will provide excellent service in highly corrosive chemical environments. While Style 718OX can be used in a wide range of services, it is primarily designed for high-pressure oxygen valve packing. Style 718OX is available as individual rings, combination sets, and in bulk. AP Services, a product and service brand of Curtiss-Wright, manufactures valve and pump packing products that have the lowest leak rates and friction in the industry. Style 725 is manufactured from high strength GFO expanded TFE fibers which trap and encapsulate finely ground graphite particles. A high temperature lubricant is applied to insure high performance and easy break in. Style 725 is an excellent choice as a general service asbestos free packing. This superior packing is wear resistant due to its low co-efficient of friction and will not abrade shafts. Because of this packing’s extreme versatility it can withstand corrosive chemicals, acids, high pressure water, and condensates on centrifugal and reciprocating pumps and valves, mixers, and agitators. Style 725 is available as individual rings, combination sets, and in bulk.